This eBook (Choosing the Right Payment Gateway) is created by keeping in mind entrepreneurs from all over the world. It does not matter where you live. If you are passionate about your business idea and wants to monetise it and earn a living by selling products or services, this is must as a reference guide. It is loaded with necessary resources useful to entrepreneurs, website developers or those with an interest in payment gateways. 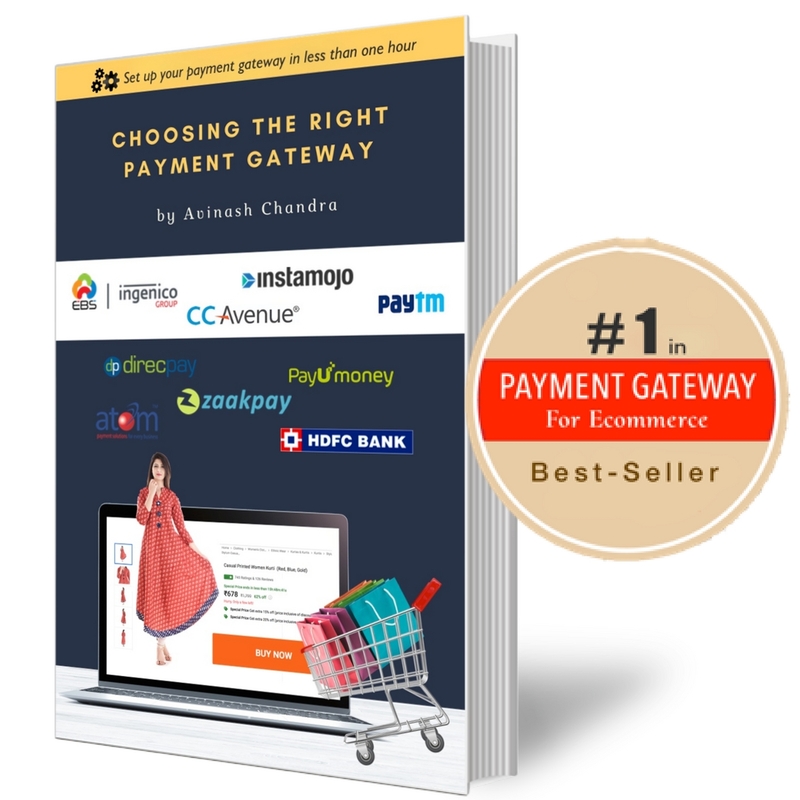 In this ebook you will get tried and tested expert advice on payment gateway technology useful for your business growth and customer delight. This is not just an ebook, but a Growth Hacking Guide. I created this after talking to hundreds of entrepreneurs who call me to discuss their payment gateway requirements. Payment gateways help bloggers, ecommerce businesses, marketplaces, service providers, educational institutes and several others to sell their products to interested buyers in a seamless efficient way. 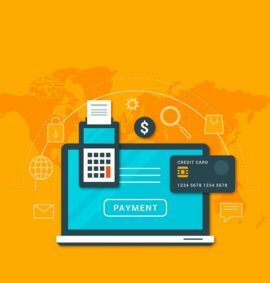 You will also find a list of payment gateways that specialize in e-commerce processing, corporate disbursements, and remittances for individuals and businesses around the world. The book is very detailed. Helped my team understand a lot about payment gateway’s. 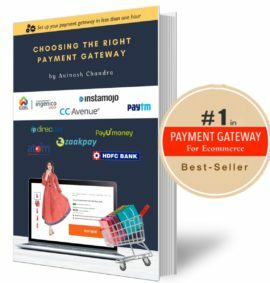 Fastest way to decide and implement a payment gateway for your online store! Great Ebook. After struggling for 2 weeks with payment gateways we implemented it in less than one day with this ebook. Fantastic book. Saved our money, time & hidden charges! Best buy!